Pro Prints Gear has 2 Universal laser engraving machines and a rotary engraving machine, meaning we can offer a wider variety of processes and style for your award or personalization needs. A laser engraver etches or cuts the working piece using the heat of laser beam, while a rotary engraver uses different size tools that cut into the material creating a variety of different looks. Either method has benefits depending on the substrate and the final use and/or look of the completed product. If you have an item you would like engraved but are not sure if it’s possible, please bring it to the showroom so a sales associate can evaluate it. 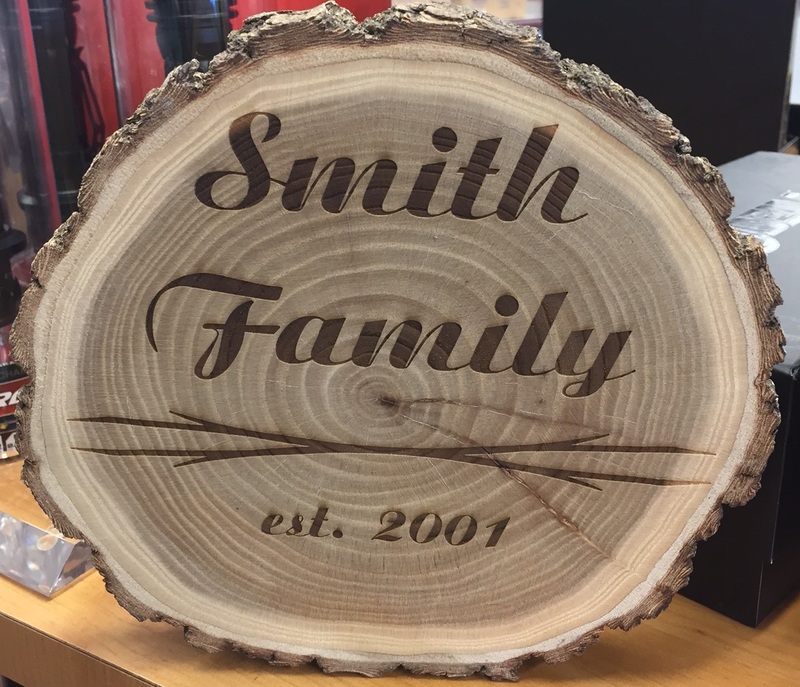 Please see our products section for access to hundreds of awards or gift items that can be personalized using our engraving department.